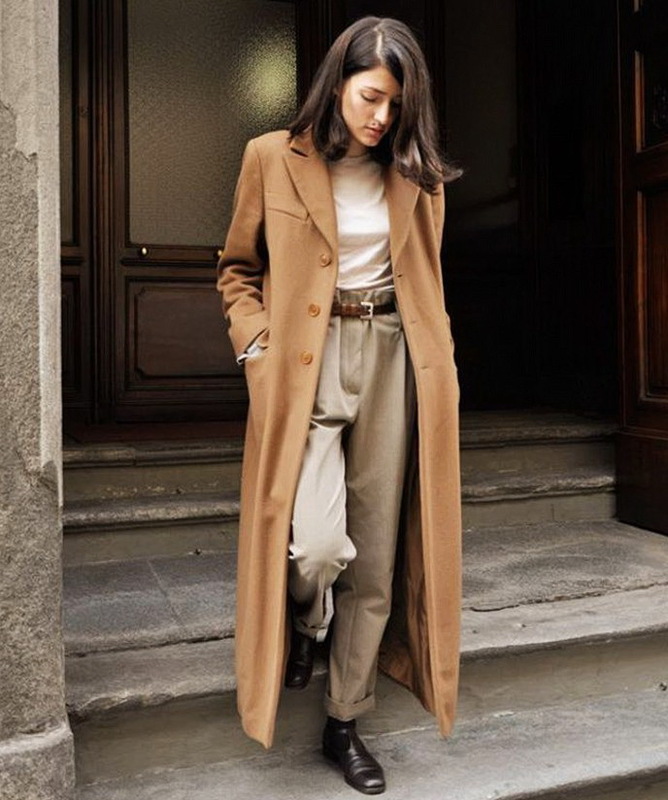 If you are looking for a perfect layer for this 2018 year that will suit spring, fall and winter seasons, then I suggest you buy a camel coat. This cover-up is one of the trendiest, as it comes with an original color and powerful look. In this post, I am going to share with you my personal top-15 women's camel coats which are great for showing off in the streets. It looks like this staple will never go out of style. Speaking of occasions, then you can sport it whenever you want, starting from simple street walks to shopping and work. We see a relaxed, mannish fit which is paired with a black top and camel-hued trousers. Finish the look by adding tortoise sunglasses. The fit of this cover-up can be either oversized, classic or slim fitted, but the exaggerated designs are very popular this year. 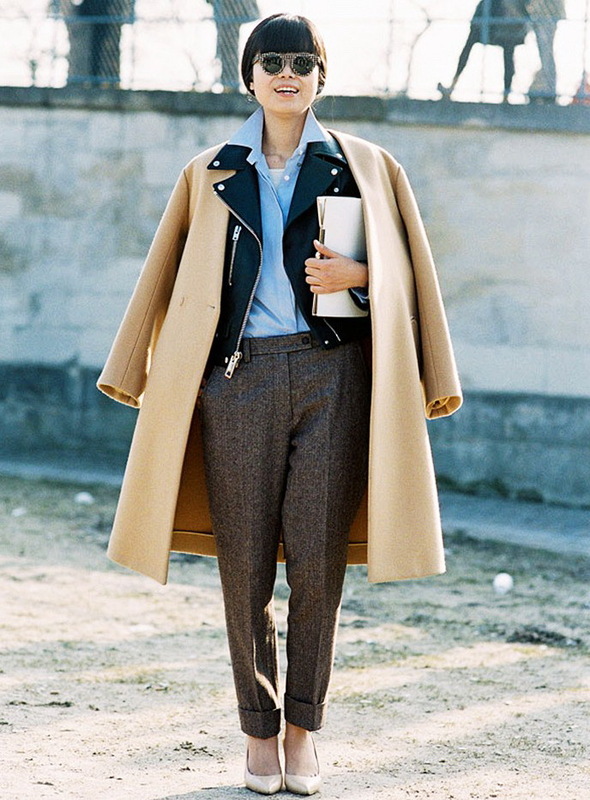 I personally completely obsessed with long coats at the moment. I love the way it makes you feel so unique and individual regardless or what you are wearing underneath. You might think I am strange, but I honestly think every girl needs a camel coat in her closet. You can try them on with distressed denim, cool sneakers, LBDs, Tomboy outfits, biker chic looks, pantsuits and many other trendy outfits. Hope these images will inspire you to buy yourself a pretty camel outerwear. Keep it cool and feminine by adding cream lightweight blouse tucked in skinnies and paired with cool, shiny gold hue booties.